Who is the rasta god? 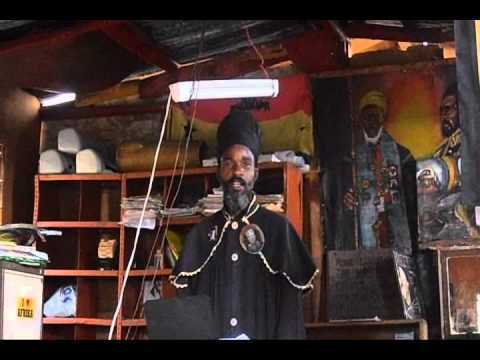 Why do they believe Haile Selassie is god? How can man be a god? What texts do you use to preach from? What does marijuana have to do with the Rastafari movement? Interview took place on location at Bobo Hill, Jamaica.